Despite being knee deep in October, plums are still bountiful at my local farmers market. This unexpected harvest inspired me to try the recipe below, shared long ago by the NY Times and now a mainstay in many home cook’s kitchens. This plum dessert makes a surprisingly great neighbor to your other fall favorites, pairing nicely with the season’s pumpkin breads and apple pies. After trying this recipe, there’s no wonder why it continues to rage in popularity. The batter is practically effortless – the entire recipe can be prepared in one bowl, should you decide to sift the ingredients directly into the batter. The preparation process takes less than 10 minutes, and the majority of your time will be spent salivating at the smells coming out from your oven. While the original recipes calls for a springform pan, I didn’t have one of those in hand. Instead, I pulled out my handy non-stick cake pan, lined it with parchment paper, and gave it a good coating of butter. This method worked seamlessly, and my cake popped out without a crumb. If you don’t have a springform pan either – there’s no reason to write off this recipe! 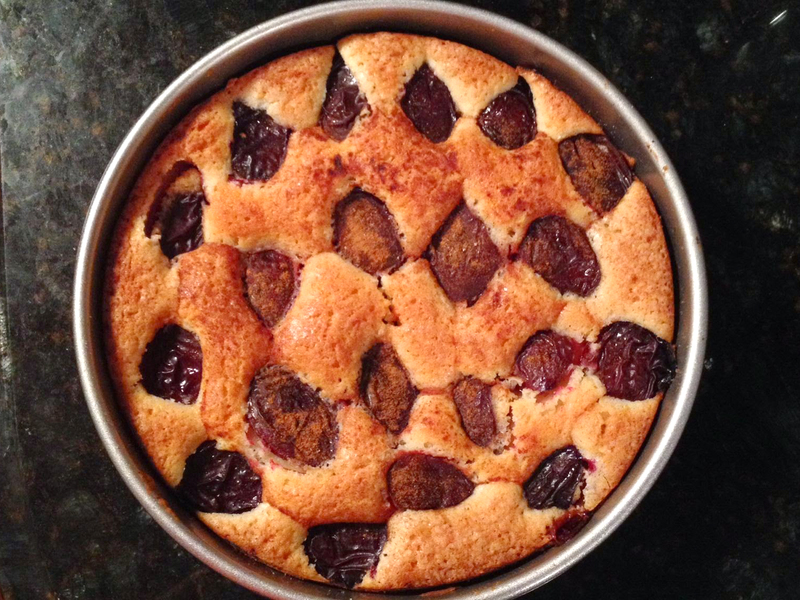 For the topping, lay the plums neatly on the top of the torte. They should be side by side, with little space in between. 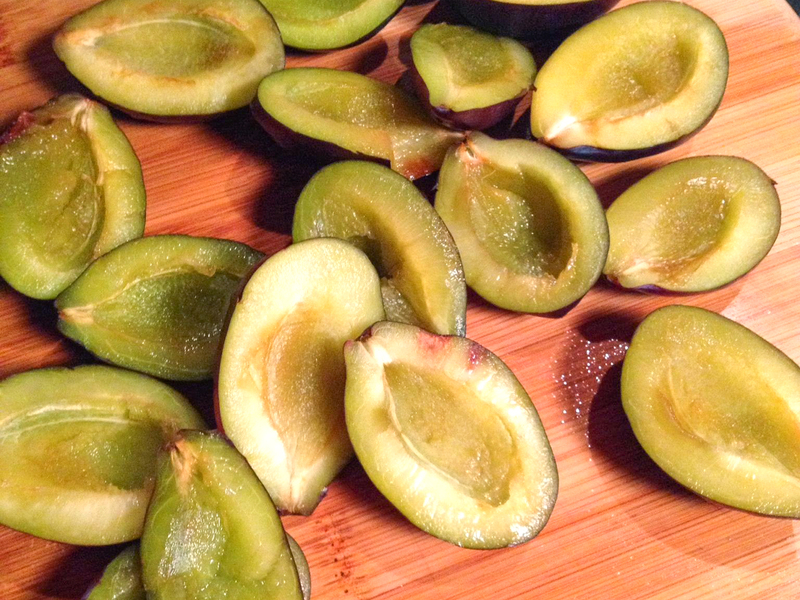 This will prevent the plums from moving around and sinking into the batter unevenly. 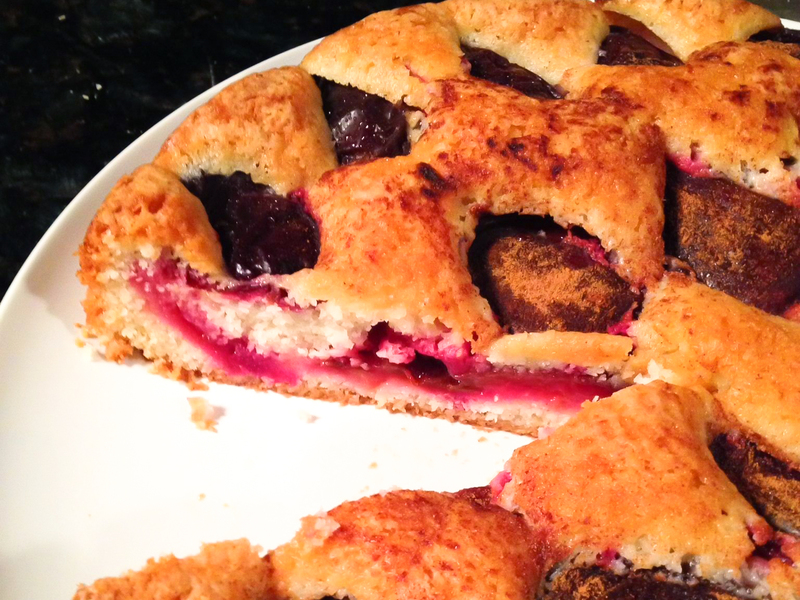 There’s no need to push the plums in, though – they collapse naturally into the batter once baking. Preheat the oven to 350 degrees and butter a 9 inch cake pan. Line the bottom with parchment paper and butter again (you can skip this step if you have a springform pan). Sift together the flour, baking powder, and salt in a medium bowl. Using a stand mixer, cream together the butter and sugar on medium speed until smooth and light in color, about three minutes. Add the dry ingredients and eggs to the bowl. Beat on low to medium speed until just combined. Pour batter into the prepared cake pan. 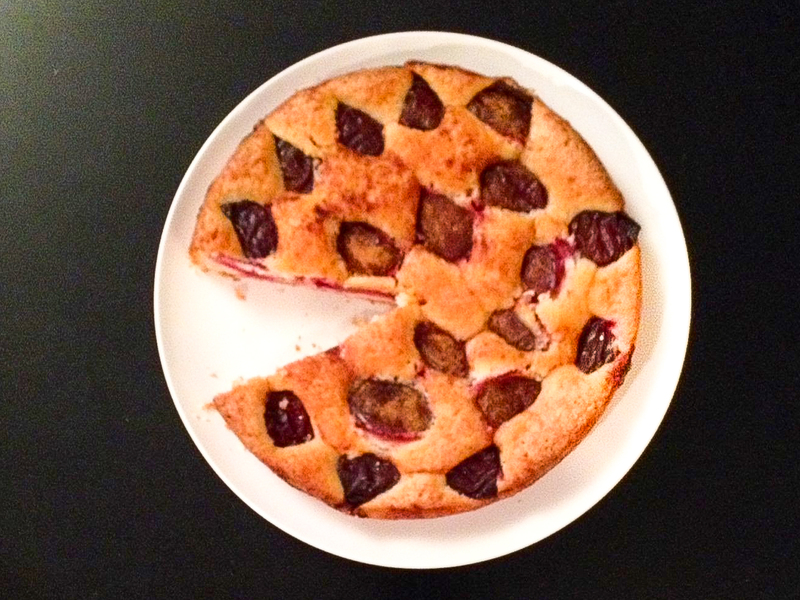 Top with plum halves, skin side up. Dust with sugar and cinnamon and squirt with lemon juice. Bake for 45-50 minutes and let cool completely.